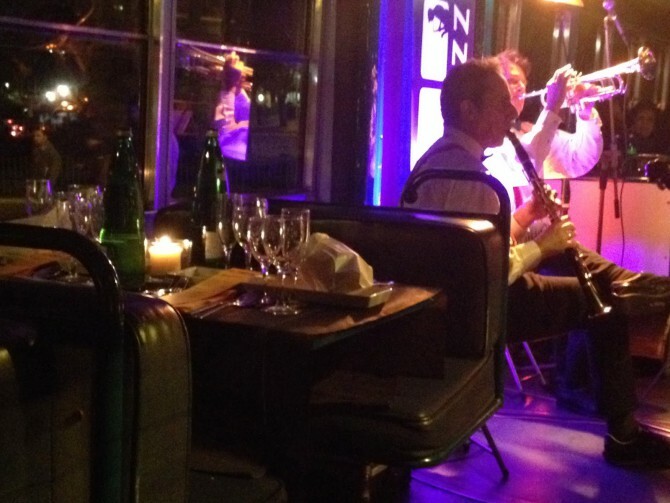 Among the several options Rome offers for romantic dinners and live concerts, TramJazz is definitely one of the most original: a vintage cable car converted into a cozy travelling restaurant and jazz concert hall. While getting on a tour of the Eternal City on this restored cable car (which commences its 3-hour journey from Porta Maggiore at 9 pm), guests will enjoy the best of Lazio local food and wines on the sound of a live jazz performance by high level musicians. Each event turn around a specific mood: Dolce Vita, Brazilian Jazz, Italian ’60 and many more that you can explore on TramJazz official website. To take part to a night on TramJazz a reservation is requested, which we suggest to make reasonably in advance to be sure you will get your spots. Hotelrome.net is at your disposal to help you out with news, information and reservations while you are in Rome! From 3 to 7 January 2015 a historical palace in the heart of Rome will be exceptionally open to public: it’s Palazzo Ferrajoli, facing on Piazza Colonna, where the famous Antonine Column stands since centuries at few steps from the Italian Parliament. 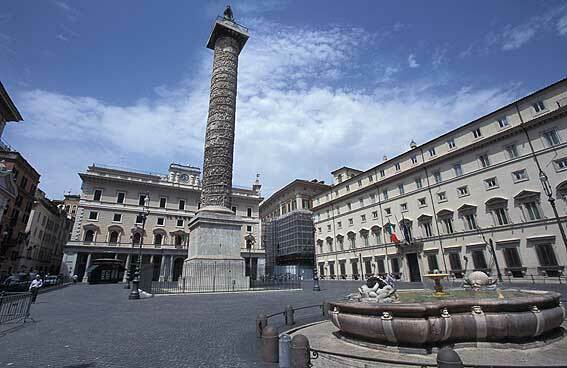 This rare chance to access it, enjoying a guided tour of the palace together with a unique perspective on the Column itself, is provided on the occasion of the Festival of Lights in Piazza Colonna. The four-day free event offers to visitors art, music and literature. To take part to it no particular requirements are needed: just contact Hotelrome.net to get the free voucher to access it! 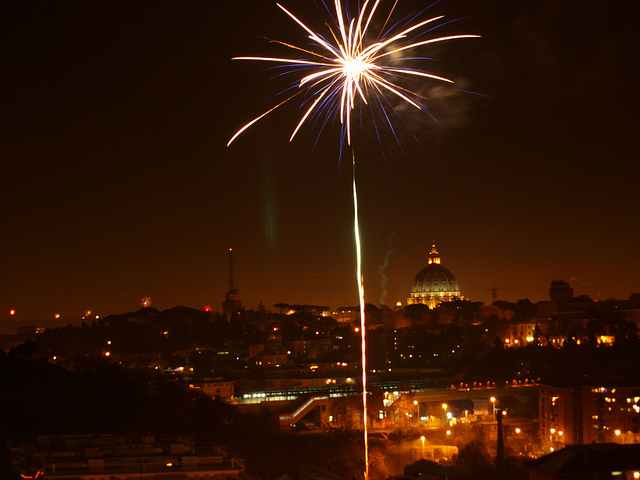 Still haven’t planned how to spend your New Year’s Eve once in Rome? Here an outline of the two major events organized this year by Rome City Hall as public celebrations to welcome 2015! 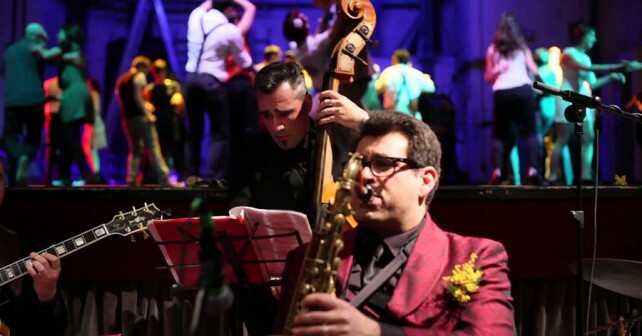 – Swing Circus Vintage Party at FORI IMPERIALI. From 8pm onwards dance and concerts of swing, funky, soul, ’60 revivals and electro swing will make Via dei Fori Imperiali a new 52nd Street like the one in New York. Contact Hotelrome.net to be always up to date on events and happenings in the Eternal City during Christmas holidays! 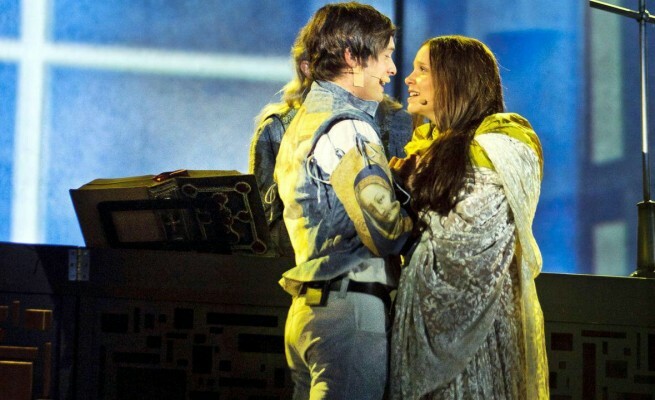 One of the best options for a night at theatre between Christmas and New Year’s Eve 2014 in Rome is no doubt “Romeo and Juliet. Love and change the world”, currently on stage at Gran Teatro. This gigantic production involving 45 artists, 30 dancers and acrobats, more than 200 customs, 55 backstage operators (35 of whom in charge just for technical aspects), offers a unique version of the immortal story by Shakespeare. Some of the greatest contemporary artists are involved in the project: French composer Gérard Presgurvic for the musical transposition, Italian translation by lyricist Vincenzo Incenzo, under Giuliano Peparini’s direction. When: until 6 January 2015. Hotelrome.net will provide you with info on tickets and accommodations in Rome even during holidays time! – Saturday 6 December: “Music at the Museums”. 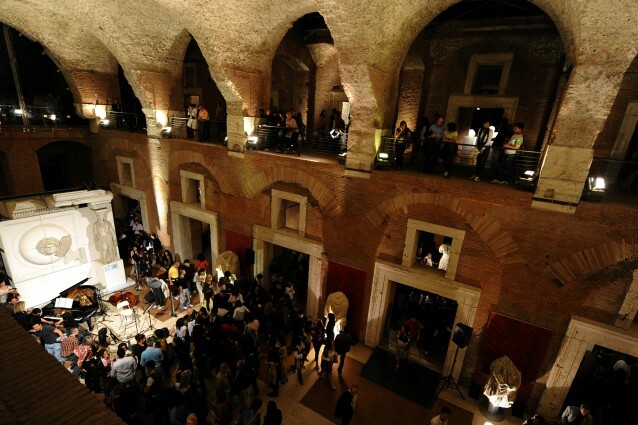 Dance & music performances all night long (from8pm to 2am) at Musei Capitolini, Centrale Montemartini, Galleria d’Arte Moderna, MACRO, MACRO Testaccio, Mercati di Traiano, Castel Sant’Angelo, Terme di Diocleziano, Palazzo Massimo, Palazzo Altemps, Palazzo delle Esposizioni, Scuderie del Quirinale and many more. Admission will be free (to both the event & the museum collection), or alternatively €1 will be requested as symbolic donation. – Sunday 7 December: “National Archaeology Day”. Depositories & other sections normally closed will be open and shown through guided tours. This day no admssion fee at State Museums (while free entrance at City Museums will be riserved to residents only). – Monday 8 December: special opening of all City Museums which are normally closed on Mondays. 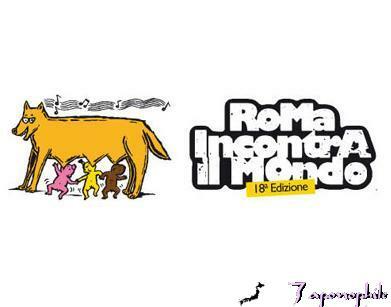 For more info on programmes and locations, contact Hotelrome.net! Rome Jazz Festival celebrates this year the new wave of swing which has recently hit Italy and Europe by and large. Until 30 November Rome will host world-wide famous artists of Jazz music scene: vocalist Dee Dee Bridgewater (Grammy award winner), Jason Moran and Robert Glasper (the two American contemporary pianists), the best “Gipsy Jazz” (“Manouche”) guitarists in Europe, just to mention a few. Lovers of “swing out”, “inside turn”, “outside turn”, as well as of jazz music of course, cannot miss the three-day workshop with dancer and coreographer Vincenzo Fesi, at the end of which a public performance will be set-up. Venues: Auditorium Parco della Musica, Teatro Torlonia, Teatro Quarticciolo, Teatro Tor Bella Monaca. Admission ticket: from €5 to €25. Ask us for programme details and accommodation! As we have said somewhere else, we are unabashed fans of the Orchestra di Piazza Vittorio. Their story would be worth telling all the same had they disbanded after the release of the remarkable documentary that tells the tale of Mario Tronco, the director who assembled the orchestra recluting foreign musicians who lived in Rome -many of them in the multicultural neighbourhood of Piazza Vittorio- and brought their own sensibilities and personal idiosincracies into the mix. But the Orchestra was more than a one-off, and it’s ready to perform its most recent project: an 80-minute musical journey through time, space and culture, a feat they are more than well-suited to accomplish. 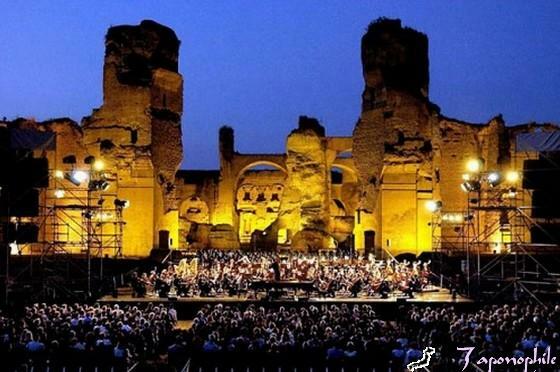 The Orchestra will be playing at the Stadio Olimpico in Rome from January 21 to 26, 2014. When they decided to make a film about Bob Dylan’s life they nedded 6 actors to play him. Probably is the only case in which such an exaggeration seems justified: Dylan has gone thorugh such an staggering number of phases througout his career that probably no single living actor would have been able to offer a convincing performance. The title of the film seemed to summarize Dylan’s career as a whole: “I’m not there”. Everytime audiences or critics have believed to have Dylan ready to be pigeonholed, the man has escaped and then come back with an unexpected musical direction, an unexpected look: he has gone all the way through from earnest young folk singer and then bohemian guru to his most recent incarnation as a somewhat demonic wild-west singer. 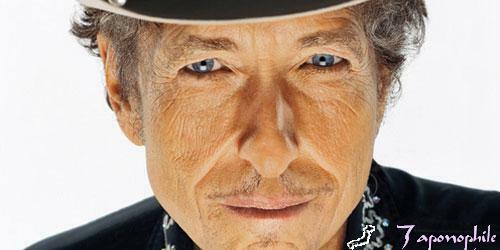 Mr. Dylan will be performing in Rome November 6, 2013 at Atlantico Roma. Get a glimpse of him while you can, or at least try: knowing him you can be sure that, somehow, he won’t be there. At least not in the way you expect. Remember the opera at the end of The Godfather III? That’s Cavalleria Rusticana. If it’s good enough for Don Corleone I’m sure is good for you too. Bizet’s masterpiece coupled with one of his less-known efforts. The career of the composer of the soundtracks of many classic Spaghetti Westerns has been re-evaluated after years of relative neglect. A tale of love, passion and treasure set in Rome in the year 1800. For further information visit Rome’s Opera House official website. To reach the Baths of Caracalla from Yes Hotel or Hotel Des Artistes, take the bus 714 from the station Termini and get off at the 7th stop (Palazzo Sport). The music they played has been labeled “freak folk”. It’s an accurate description. The Ramblers and their folk sound are an institution in Italy. She has a big bluesy voice and the looks of Zadie Smith; he seems ready to join Enrico Rava and Paolo Fresu in the olympus of great Italian trumpet players. An Italian singer of Maroccan descent and one of the most interesting figures in the local pop scene. A multicultural Roman phenomenon whose story is worth spreading. 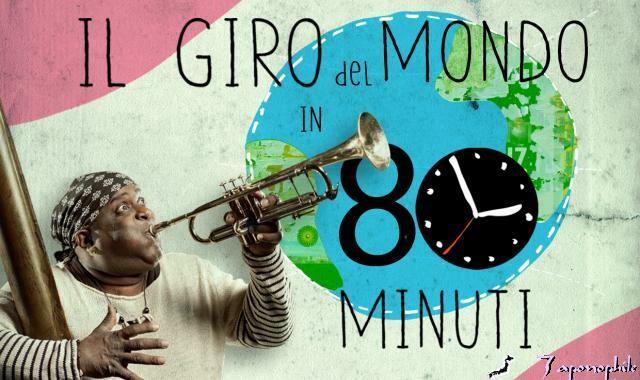 The revered irreverent of Italy’s music scene. The concerts take place at Villa Ada (Via Salaria 275) which can be reached from the Termini Station, just a few minutes away from Yes Hotel and Hotel Des Artistes with the bus 92. To read the full program, click here.